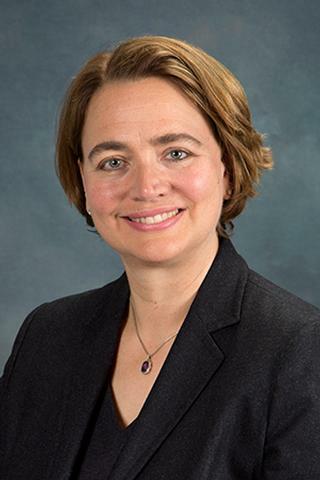 Dr. Larissa KF Temple has been named Chief of the Division of Colorectal Surgery at UR Medicine and Director of SHORE. Dr. Temple completed General Surgery and Surgeon Scientist Program at the University of Toronto. She then moved to New York City and completed fellowships in Surgical Oncology at Memorial Sloan Kettering Cancer Center and Colorectal Surgery at St. Luke's Roosevelt. Most recently she was a member of the Colorectal Surgery Service at Memorial Sloan Kettering Cancer Center. Dr. Temple has expertise in the management of colorectal diseases, and in particular, colorectal malignancies. She performs minimally invasive procedures, including robotic surgery to complex multi-surgeon pelvic procedures. Dr. Temple was the Director of the Colorectal Survivorship Program and the Vice Deputy Physician in Chief for Quality and Safety. She was named as one of New York City's Top Doctors in 2016. Dr. Temple has a national reputation in colorectal cancer and surgical quality. She presents nationally on outcomes after colorectal malignancies. She is a member of ASCO program committee and the American College of Surgeons Rectal Cancer Standards Operative Workgroup. Dr. Temple chairs the Quality Assessment Committee for the American Society of Colon and Rectal Surgery. She is a member of the Surgery Standing Committee for the National Quality Forum, the American College of Surgeons Performance Measurement Work group, the Society of Surgical Oncology Quality Committee and the planning committee for the Quality Symposium for the American Society of Clinical Oncology. Weiser MR, Gonen M, Usiak S, Pottinger T, Samedy P, Patel D, Seo S, Smith JJ, Guillem JG, Temple L, Nash GM, Paty PB, Baldwin-Medsker A, Cheavers CE, Eagan J, Garcia-Aguilar J, . "Effectiveness of a multidisciplinary patient care bundle for reducing surgical-site infections." The British journal of surgery.. 2018 Nov 0; 105(12):1680-1687. Epub 2018 Jul 04. Becerra AZ, Wexner SD, Dietz DW, Xu Z, Aquina CT, Justiniano CF, Swanger AA, Temple LK, Noyes K, Monson JR, Fleming FJ. "Nationwide Heterogeneity in Hospital-Specific Probabilities of Rectal Cancer Understaging and Its Effects on Outcomes." Annals of surgical oncology.. 2018 Aug 0; 25(8):2332-2339. Epub 2018 May 30. Cercek A, Roxburgh CSD, Strombom P, Smith JJ, Temple LKF, Nash GM, Guillem JG, Paty PB, Yaeger R, Stadler ZK, Seier K, Gonen M, Segal NH, Reidy DL, Varghese A, Shia J, Vakiani E, Wu AJ, Crane CH, Gollub MJ, Garcia-Aguilar J, Saltz LB, Weiser MR. "Adoption of Total Neoadjuvant Therapy for Locally Advanced Rectal Cancer." JAMA oncology.. 2018 Jun 14; 4(6):e180071. Epub 2018 Jun 14.